This picture is inspired by a combination of interests of mine. 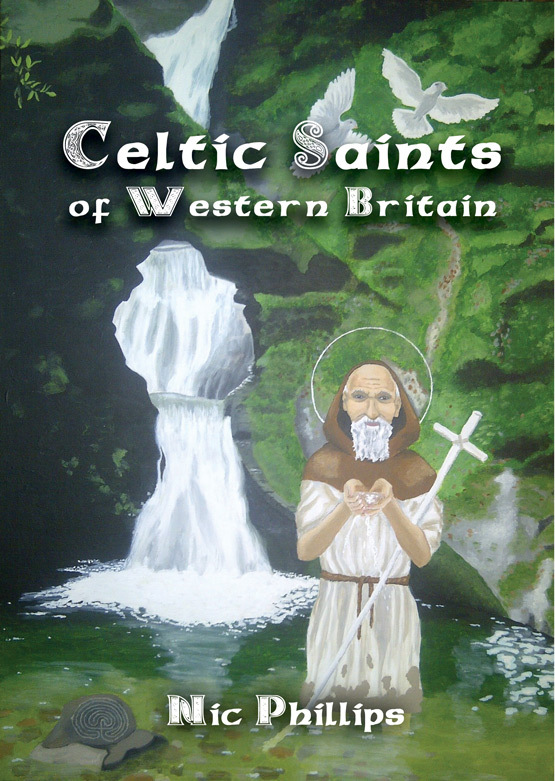 What it essentially depicts is the legendary leyline known as the St Michael Line thought to run from the southwestern tip of Cornwall in a straight line across Southern Britain passing through a great number of sacred sites dedicated to St Michael. There are in fact two lines, commonly called ‘Michael and Mary’ which intertwine and meet at significant energy spots on the way, some of which are depicted here. I have chosen to show these locations as the axis of a chakra system of the body. 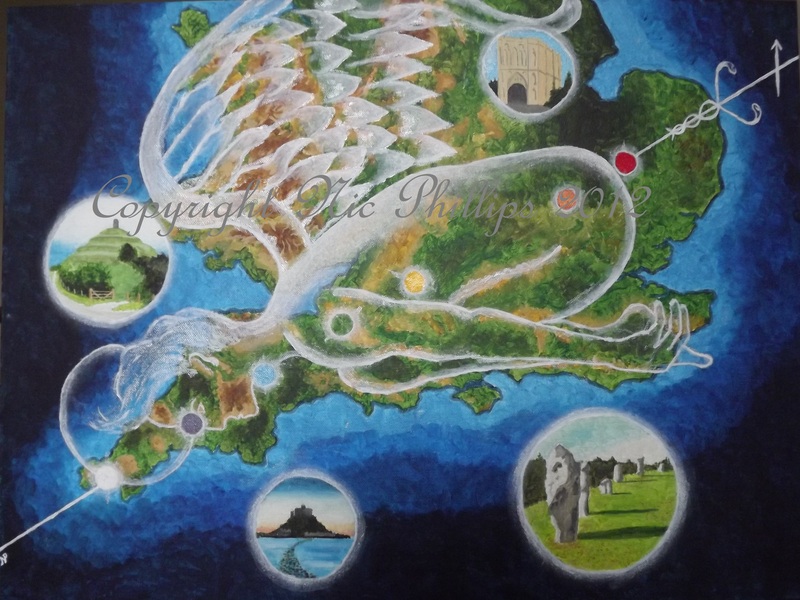 In this case St Michael’s Mount in Cornwall is displayed as the crown chakra, Glastonbury is the heart, Bury St Edmunds Cathedral is the red base chakra etc. The chakra system is borrowed from Eastern mysticism as is the yogic pose the angel Michael reclines in. Acrylic on canvas (18in x 24in). Thank you, the positions are approximate and not definitive, of course all the chakras (besides the crown and base) have front and backs to them. It was more about conveying the idea than being exact, but glad you liked it!